Welcome to Alison Lewis Saddlery! 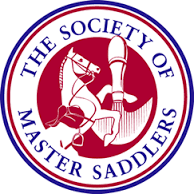 Alison is a BHS Intermediate Instructor/Accredited Senior Coach, a Qualified Saddle Fitter (Member of The Society of Master Saddlers), BETA Member and stocks a wide range of equestrian equipment in her shop. She is based in Meifod, Powys close to the Shropshire border. For further information about the lessons she gives, click here. Details of the tack she has available, new and used saddles, saddle fitting and other services offered can be found here.